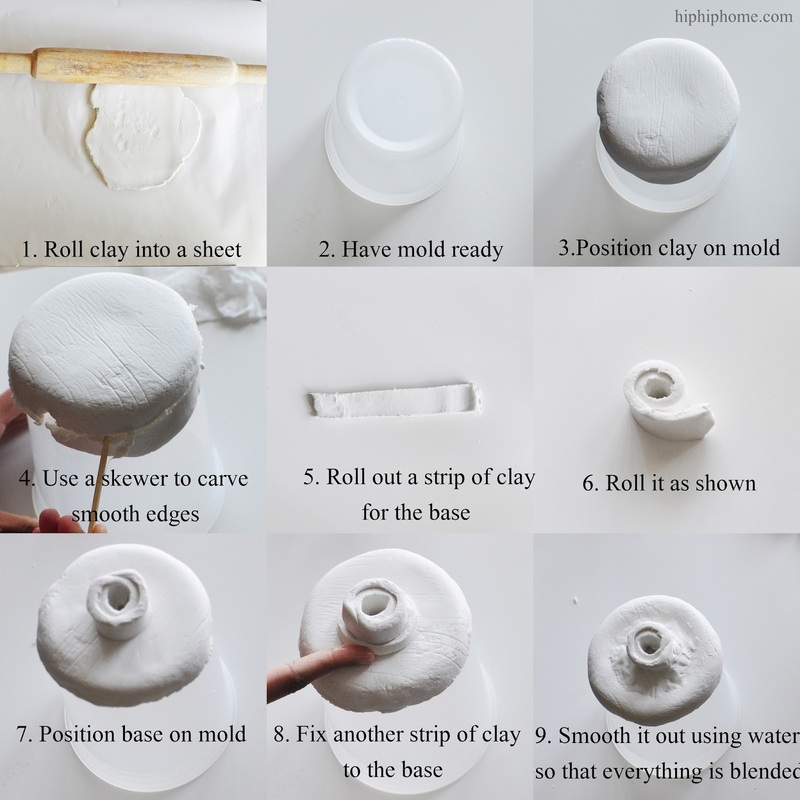 DIY CLAY DISH - HIP HIP HOME! 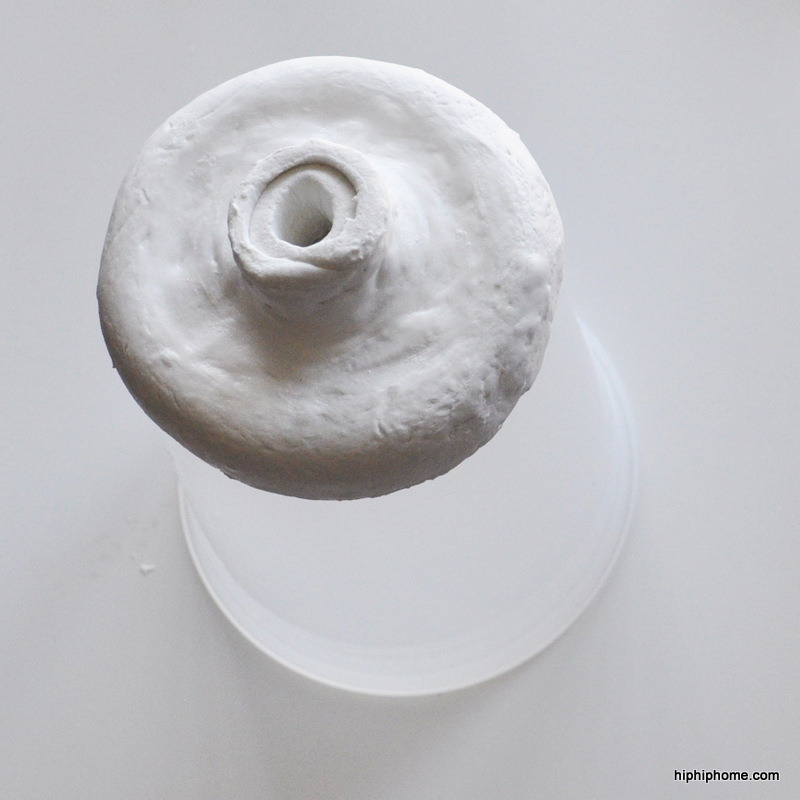 I have been seeing little clay dishes all over blogland and decided to make my own. I chose air dry clay for this project. 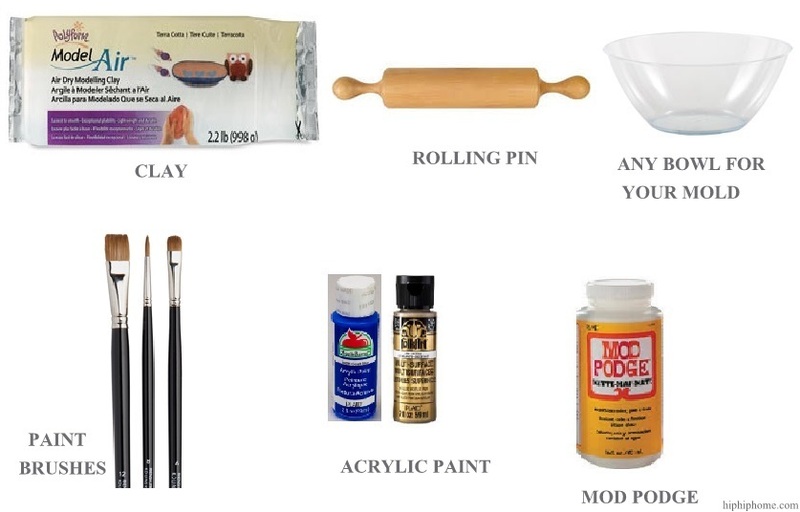 The last time I used polymer clay and baked it in the oven, the odor was so strong that I ran away from the house (I turned the oven off, don't worry). I have been known to run away after using spray paint as well. True Story. Eventually it should look like this. Don't worry, it WILL. Let that dry for 1-2 days. I actually forgot about mine for almost a week. After drying, I did notice a tiny crack on the surface, but it wasn't deep and I just painted over it. Now go ahead and paint it any way you want. I used a bright blue for the outside and a navy for the inside. I also added gold to the top and bottom edges. I finished it by sealing it with Mod Podge. If I try this again, I will probably make the base a little more taller, and the edges more even. Will you try this? If you do I would love to see it! This is super cool and doable. Thank you so much for sharing. Your clay dish turned out gorgeous!! Thank you so much Disha! Glad you enjoyed it. Yes, if I can do it anyone can do it, I'm really clumsy ha ha ! 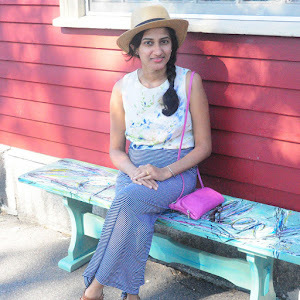 Thanks for stopping by the blog ! Looks pretty Vin! Could possibly use it as a candle atand too ? Just a thought ... Love the pics here, nice blog! Thanks Nupur! Yes that is a great idea! I already used it as a stand to hold my air plants, a candle stand is a great idea too! This is such a unique DIY Vin! The possibilities are endless on ways to use it! I love it! Hey Linda! Thank you so much ! You are right, someone actually said I could use it as a candle stand which I thought was great! So cool, and so pretty, and your 'step by step' in pictures is awesome, really easy to follow. Thanks so much Regina! :) I am so glad you found the instructions easy to follow ! I hope you give it a shot. I have been looking around for ceramic stuff for food related photography. I know you mentioned clay and jewelry, just wondering can it be used to serve in? I know handwash and all but I wasn't sure if this will hold up with food and then washing. Thoughts? You make it easy to do so thought of trying it.